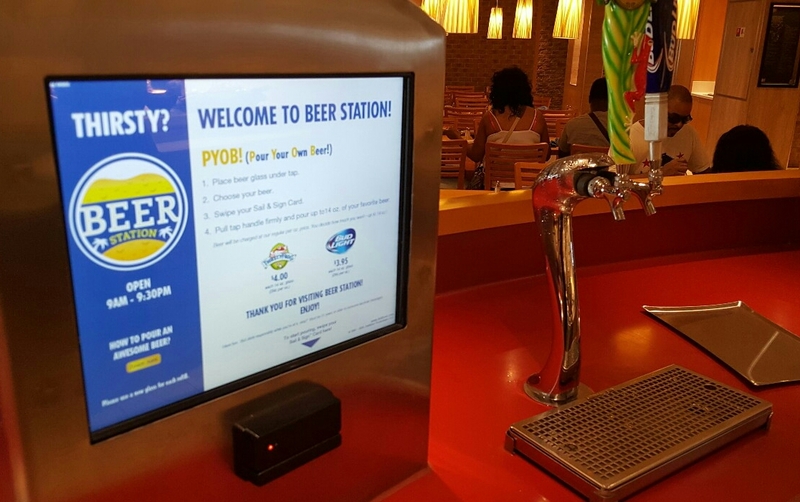 ​The cruise line industry is starting to embrace the craft beer revolution. Slowly, but inroads are starting to be made. It’s not hard to find ships leaving the state stocked with beers from Concrete Beach Brewing, Wynwood Brewing, and more. 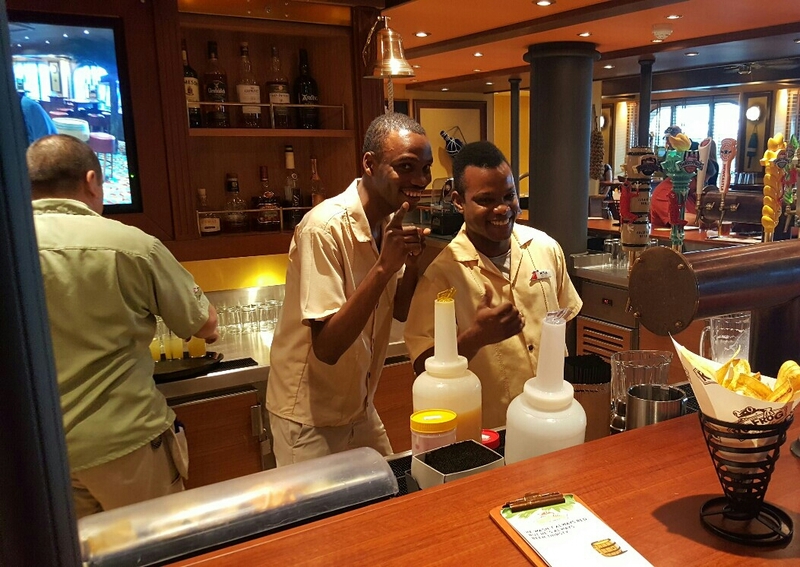 Carnival raised the stakes, however, by installing a shipboard brewery aboard their newest liner, the Carnival Vista. 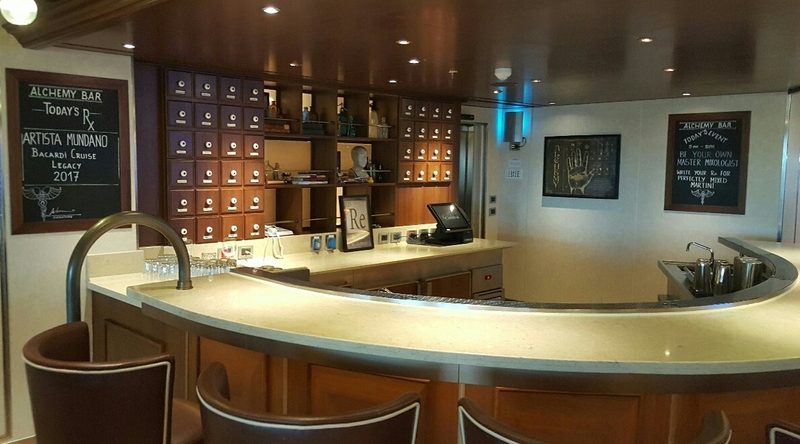 It’s not the first cruise liner with a shipboard brewery. That would be the AIDAblu, operated by German cruise line Aida (itself owned by Carnival). 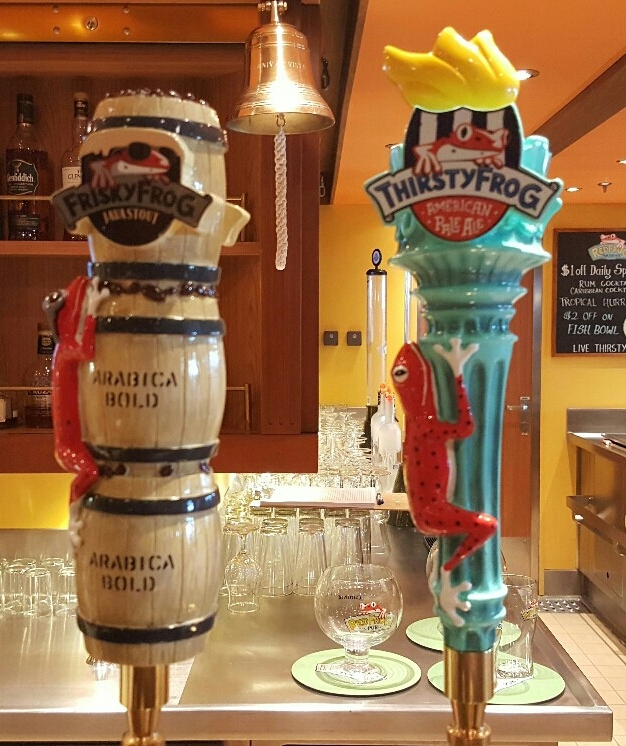 But, whereas the German brewery is owned and operated by Radeberger, Carnival is the complete owner and operator of the RedFrog Pub and Brewery, located on Vista’s 5th deck. 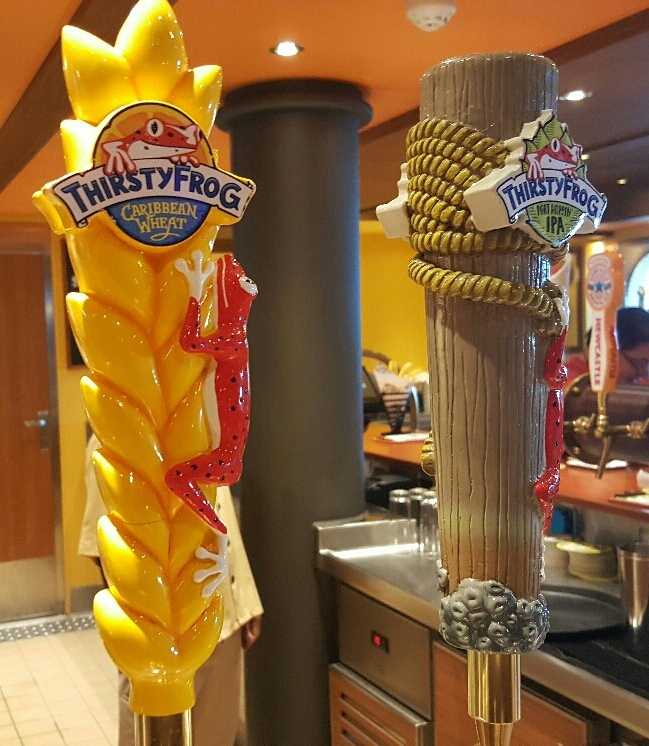 Carnival has built other RedFrog branded bars on other ships, and they feature the Carnival-exclusive ThirstyFrog Red (Red Ale, 4.4% ABV), a nicely caramel-forward amber ale brewed by the Jacksonville AB plant. The Vista’s RedFrog is the first one to brew on-site. Getting to the Carnival Vista during their recent media day was quite the ordeal, as PortMiami is quite the madhouse when a whole 7 ships are dropping off and picking up at the same time. Vista was one of those 7, just coming in from time spent around Europe and call in New York before making her first call in Miami, her home port. 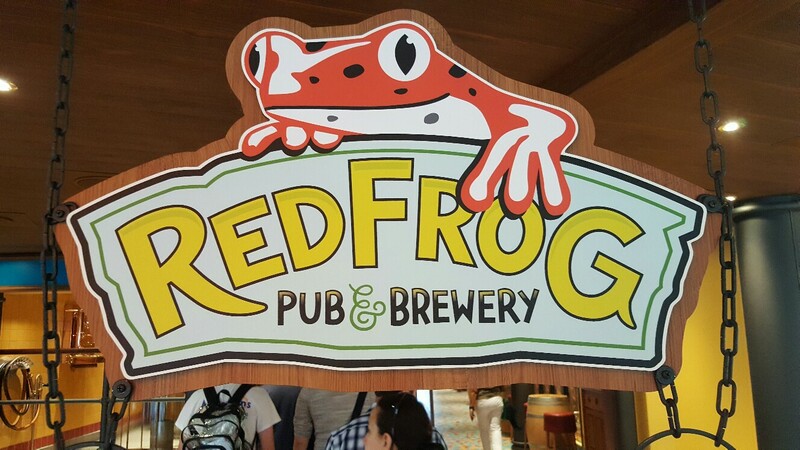 After going through security and bypassing what looked to be an extensive boarding process, we were on board and made the walk directly to RedFrog. 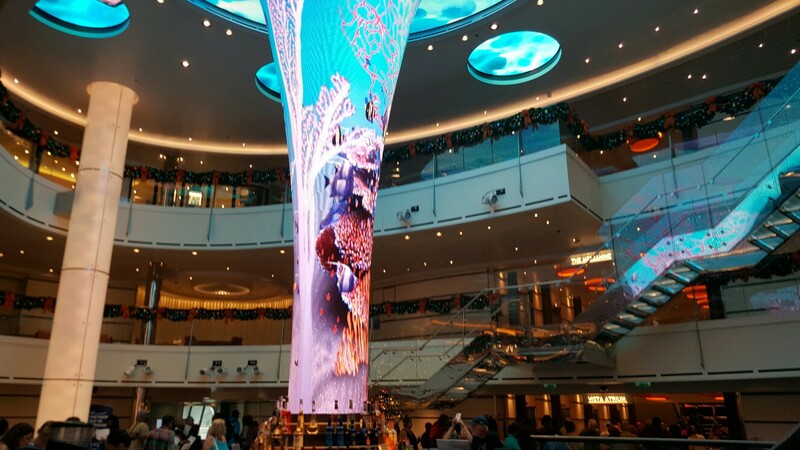 First, the ship is gorgeous, with lots of awesome projections, including the multi-deck Vista Dreamscape LED installation that is going to change throughout the cruise. There’s also a surprisingly large amount of natural light as well on the promenade. 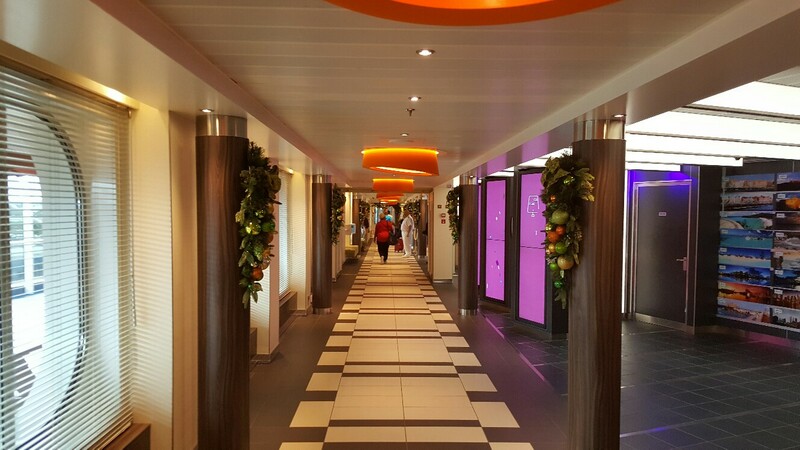 Second, there were a lot of people on board, with over 4,000 guests getting ready to set sail. Finally, there are a lot of bars on board. And I mean a lot. In the 2 minute walk we made to RedFrog, we passed around and above at least five (The Library Bar and Alchemy Bar were two that looked pretty darn cool). To be sure, there’s an IMAX theatre, and an overhead pedal-powered SkyRide, and a huge spa, and all sorts of other neat thing, and it was all eclipsed because I’m here for the beer. I ended up meeting up with Andy from Attractions Magazine on my way to meet Suits from The KVJ Show on 97.9 WRMF as well. 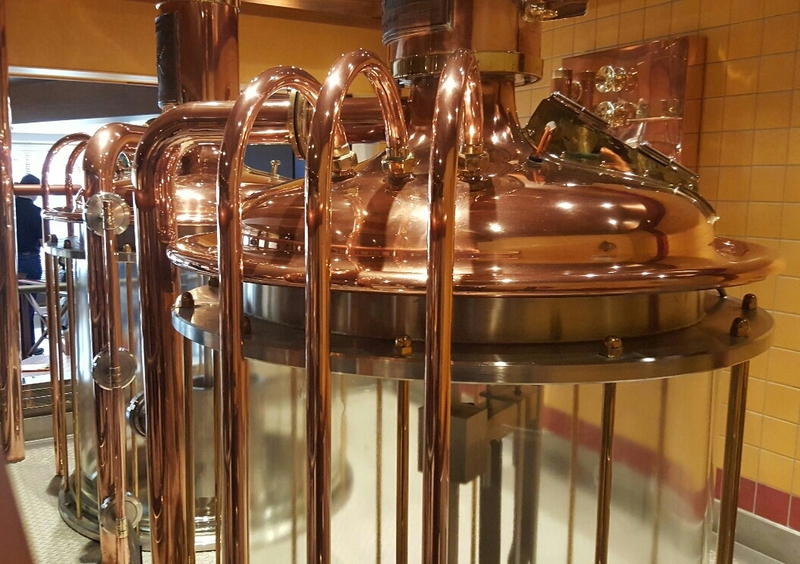 Right off the bat is the RedFrog brewing system, a German made glass-and-copper 3 BBL system placed right in view of pretty much everyone coming in or passing by. Across from that is the fermentation and cold storage area, with six large 6 BBL tanks on display behind the glass. 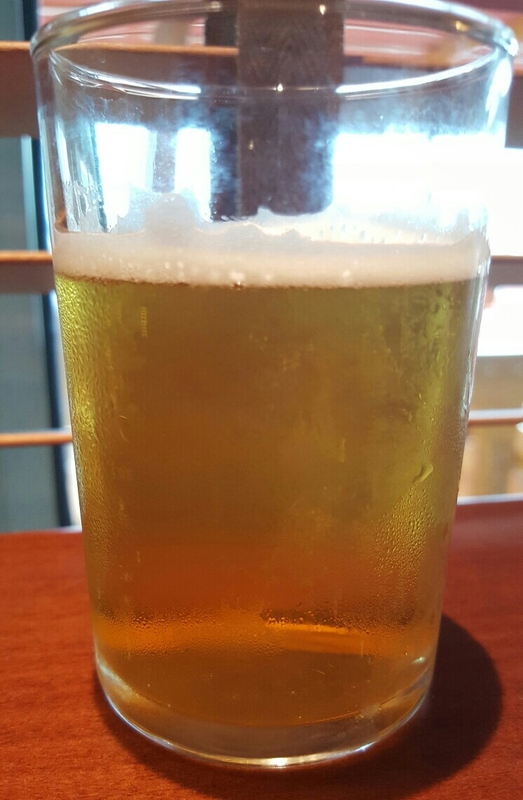 ThirstyFrog Caribbean Wheat (Hefeweizen, 4.8% ABV) – A classic German wheat with just a touch of the traditional banana and clove flavors. 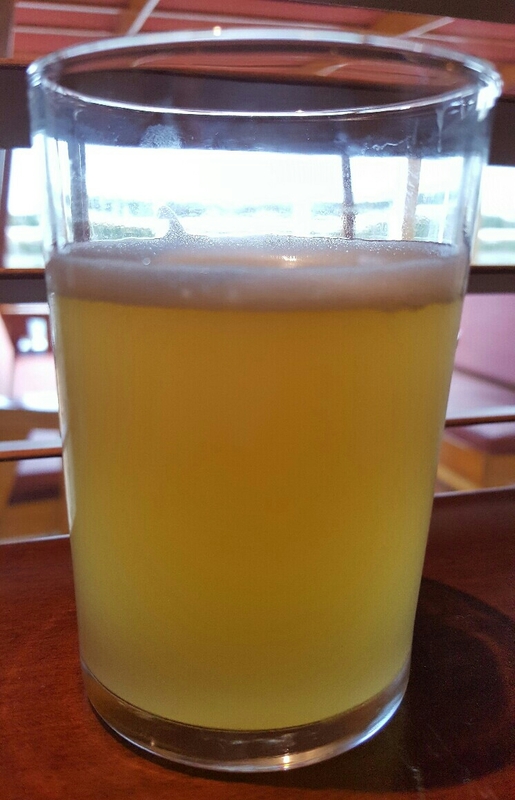 Light, hazy straw color, and a bright, peppy aroma of fruit. I was proud since this was Suits’ first beer, having just turned 21 a week prior. 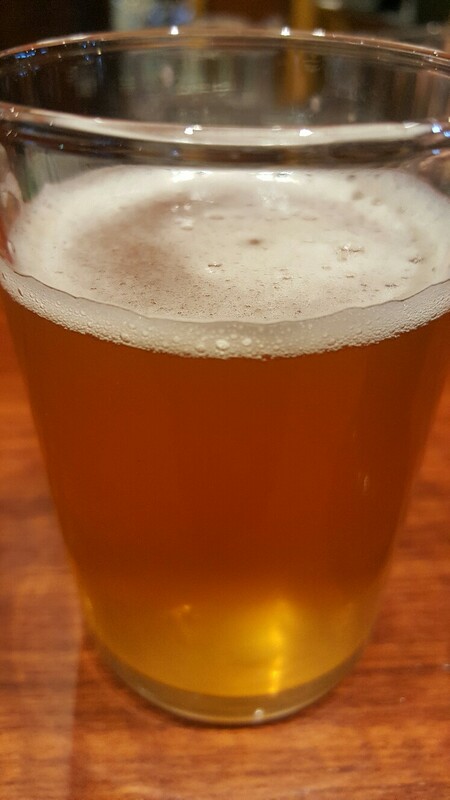 ThirstyFrog Port Hoppin’ IPA (IPA, 6.6% ABV) – Once again, a very strong, quality beer with big, bright alpha acid notes of citrus coming from ample additions of Warrior, Simcoe, and Citra hops. Strong, but still very approachable to new beer drinkers. IPA lovers really enjoy it as well, as a guest made sure to tell the brewmaster when we were chatting. Speaking of the brewmaster, that would be Pennsylvania native Colin Presby (below, left). 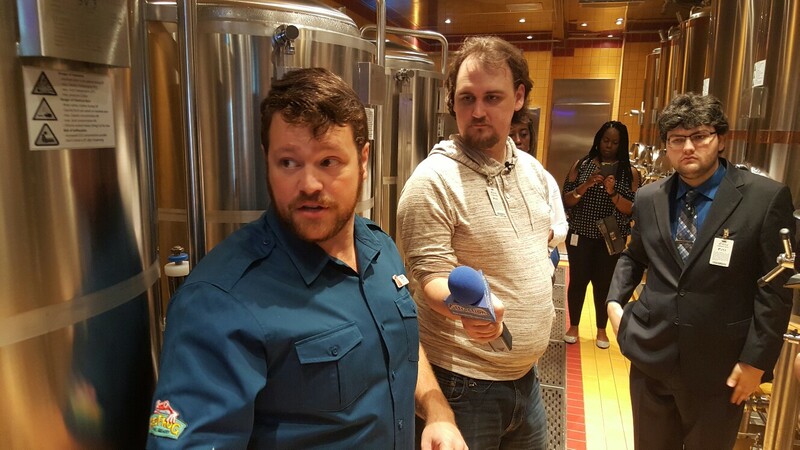 After a lengthy stint homebrewing, Presby spent time at Weyerbacher and Stoudts brewing before finally being picked up by Carnival’s Beverage Operations VP Eddie Allen. Presby then flew to the Vista’s construction dock in Italy, where he stayed to oversee the construction and installation of the brewing equipment, draft the recipes, and begin making batches on the new system. The four ship-board exclusive brews are all his, with logistics and ingredient sourcing being aided by Miami’s own Concrete Beach Brewing. It was a tricky road to take when deciding on the recipes, as Presby told me. His beers had to both excite the craft beer enthusiast on board, but still appeal to the guest new to craft beer. With Carnival’s blessing, who has given him a considerable amount of leeway in recipe crafting, the initial 3 RedFrog offerings expanded to four with the addition of a Pale Ale late in the game. 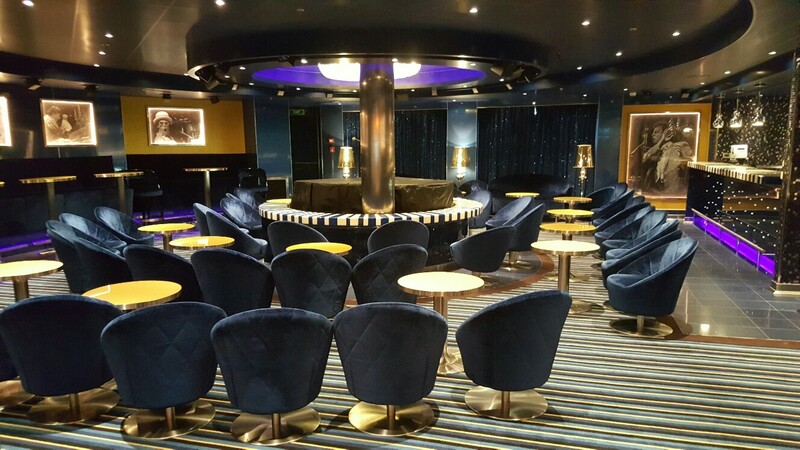 There are also some interesting factors to take into consideration when operating a brewery on a cruise ship. Water, for example, is made by the ship via a reverse osmosis desalination plant, so the brewery’s water supply tends to be pretty uniform. Spent grain is actually mixed in with the ship’s food waste and dumped when able. They even have their own mill, but it’s well below decks out of sight of the average guest. There’s also the question of brew times. Right now, Colin and his assistant are brewing in the afternoon and evenings, when their brewing can be observed by the most guests possible. Actually, his assistant is doing a lot of the brewing. 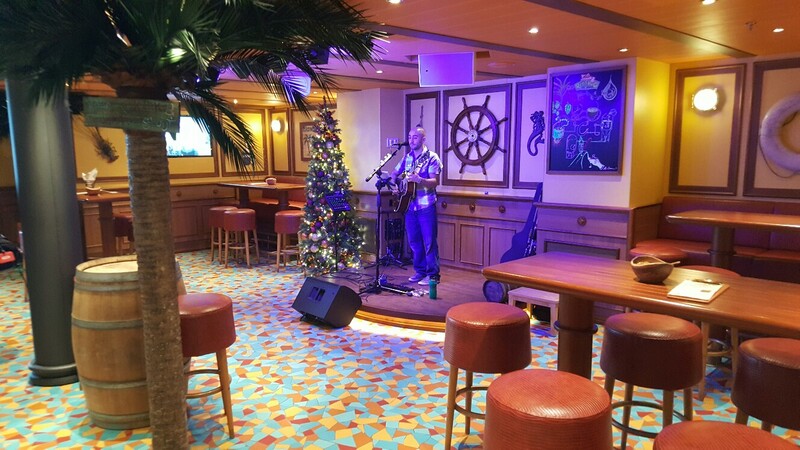 Colin is doing a number of tours and working out kinks for the next Carnival ship, due to launch in 2018 and featuring an on-board brewery as well. There’s still some more merchandising to do, but at this point you can buy pint glasses, stainless steel growlers, and possibly tap handles as well. 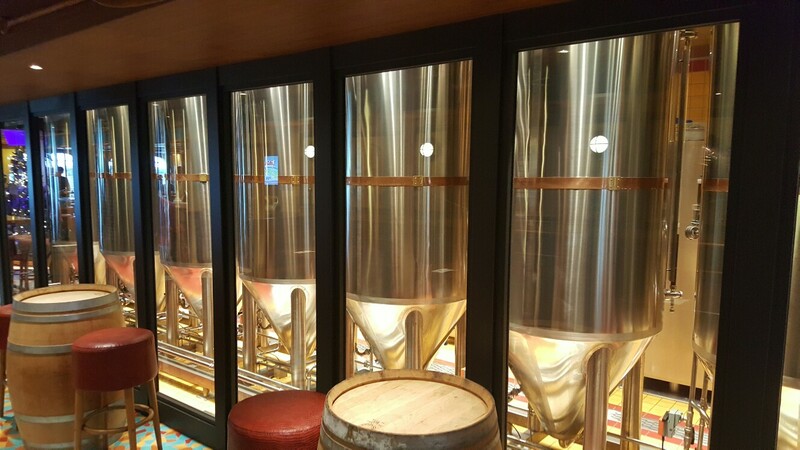 Those tap handles are gorgeous, and you begin to notice them around the ship at the bars and pour-your-own beer stations at some of the restaurants. Two more beers are available, and they’re both excellent. The last of the three original standards is the ThirstyFrog Java Stout (Stout, 5% ABV). The coffee used is Lavazza, an Italian espresso that is used a lot by Carnival. 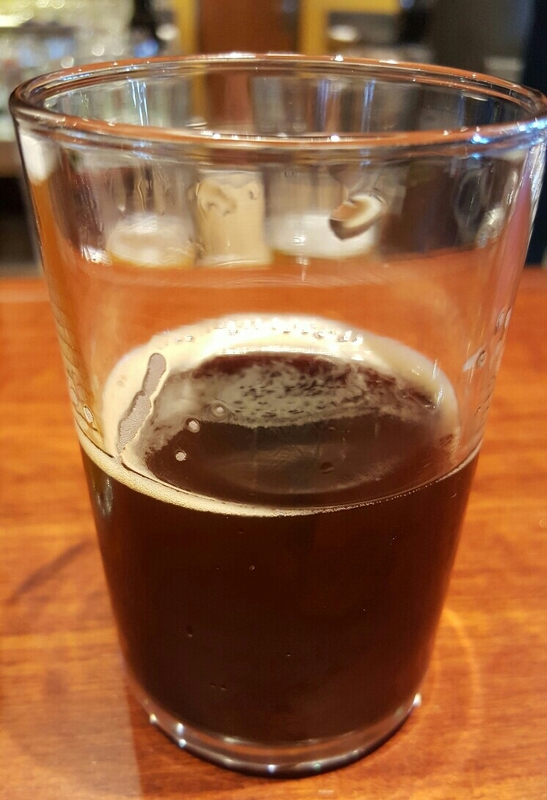 That coffee brings a rich punch of strong coffee flavor to the beer, making it much stronger and piquant than other coffee beers I’ve had. Add that to a bold malt profile, and you have a great stout. 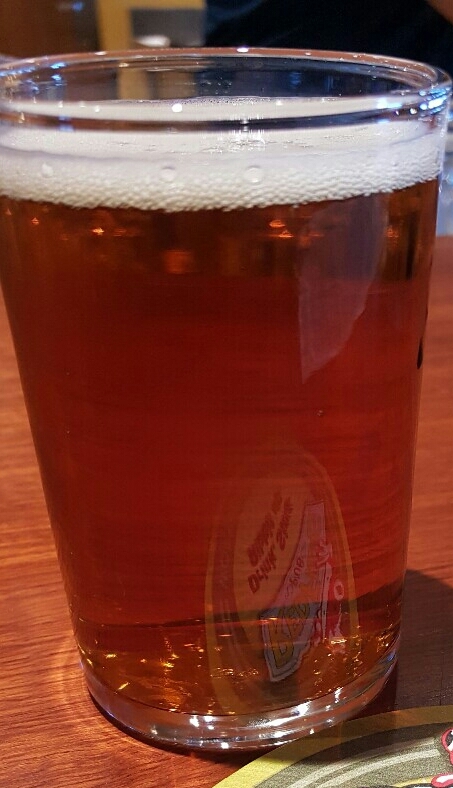 The newest of the on-board beers is the ThirstyFrog Pale Ale (Pale Ale), a beer so new it’s not on their printed materials yet. You can see the beer around the ship quite a bit, and it’s one of the two ThirstyFrog beers on tap at the bar immediately in front of you when you board the ship. It’s lightly hopped and very earthy and floral, meant to be a softer compliment to the more citric Port Hoppin’ IPA. 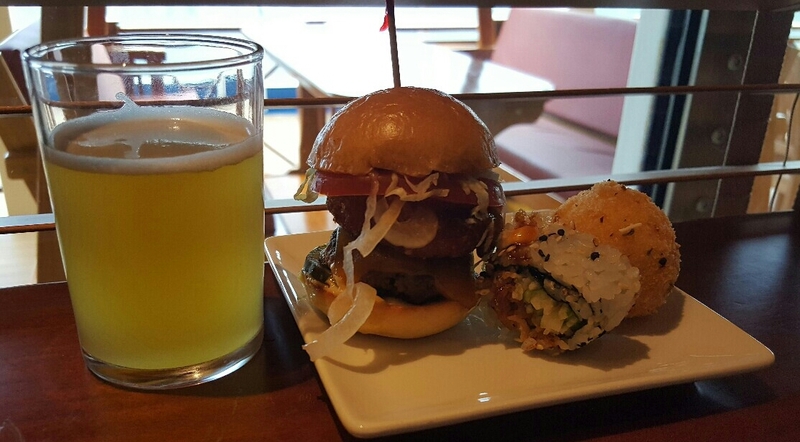 Very delicious. Colin and his team will have some time to brew exclusives as well. A few days before the press event, their last keg of their Pumpkin Ale kicked, which makes me sad. I would have liked to have tried that. 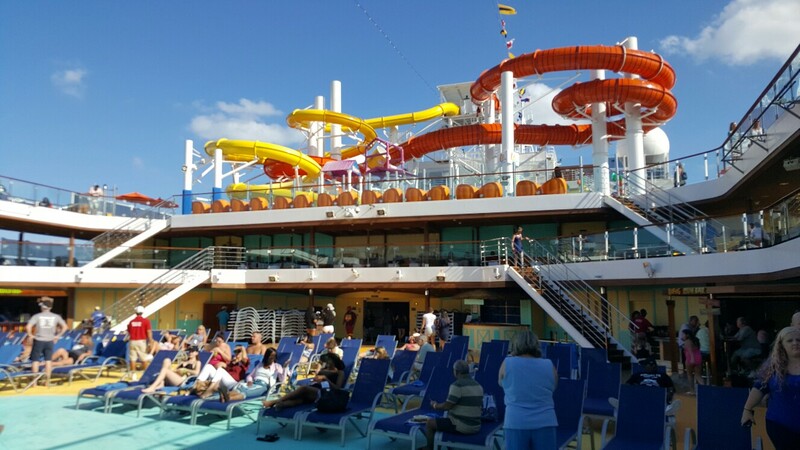 I’m not sure if or when I will cruise again, but there’s a good chance if I do I will try to get on the Vista again. And if I go, you’ll know where to find me.